As Nikolaos Patsopoulos illustrated in the last article, William Burroughs was infinitely more political than what his most famous writings would let to think. In the following essay Lucy Finchett-Maddock elaborates about the notion of naughtiness as a form of disobedience in Burroughs’ work. 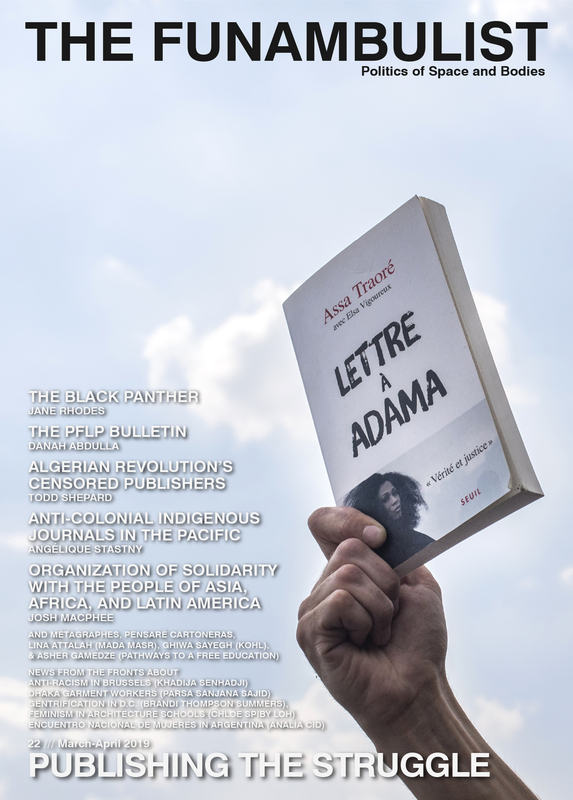 This piece was originally written for and presented at the Disobedience Workshop (20–21 May 2011) at the School of Law, Birkbeck College. Since putting together my abstract a few months ago, there have been some alterations and additions and analogies that have influenced the writing of this piece. I have been reading, and I have to say, not his entire opus, but some of the early writings of the American Beat novelist and poet, William Burroughs. Whether I have liked it or not, he has mischievously and somewhat mysteriously found his way into this paper, and whether he is applicable or not we shall soon find out too. So the writing has been kidnapped somewhat, by Burroughs, leading to a more sinister appreciation of disobedience and law’s response. I have decided to focus on naughtiness, as a way of being, a relation to, and product of, the presence of law, or authority. ‘Naughtiness’, is assumed to be considered a form of disobedience, and even represents the very ‘dis’ of disobedience itself. ‘Dis’ means to set apart, to unravel, to deconstruct – ‘dis’secting. ‘dis’respecting’, ‘dis’sonance, ‘dis’ease, ‘dis’senting’, ‘dis’embodying, ‘dis’membering. In the form of naughtiness, it is the manner in which we are not obedient, the way in which authority enters daily life by our proactive denial of its presence. It is a practical and vernacular form of resistance to law. As one tries to write on naughtiness, the question that returns once and time again, is ‘what is naughtiness’? Definitions speak of misbehaviour, misdoing, wrongdoing and antonyms of goodness. When you are naughty, you are ‘up-to-no-good’. In Italian, the translation is ‘indiscipline’, the lack of obedience and discipline. In Spanish, it is ‘travesura’, to traverse, to turn upside down. In French it is just plain bad conduct. But is naughty really bad? It is undeniably a form of willful disobedience. Figures such as Mae West (1893-1980) made her career on ‘being naughty’, stating: “I believe in censorship. I made a fortune out of it.” This is very much an adult naughtiness, one of titillation and mild sexual indecency, but more often than not, naughtiness also relates to children and their playful disobedience. In the 14th century, ‘naughti’ incurred being ‘needy’, or having nothing, or indicating a nought, or lack. The wickedness and moral wrongness is attested from then 1520s. From the 1630s, it takes on its more mischievous form with which we are familiar with today. The evasive nature of pinpointing naughtiness is indicative of its function and form as a way of being, and as a way of acting. It seems as though naughtiness comes from an indescribable ‘nought’ (hinting to its etymology), a space of compromise, or somewhere in between. “Where does Burroughs fit into this?”, you might ask. I recently started reading Burroughs, not in an academic context, but one purely just to read. Having read only a segment of his work, and that of his earlier trilogy of works, ‘Queer’, ‘Junky’ and ‘Naked Lunch’, my knowledge is not one of a Burroughs fanatic. But it is enough to detect the relevance of law, and the manner in which law relates to Burroughs’ writing style, his experiences in life, and the way law is evaded, understood and utilised in symbiosis, throughout the snapshot that I have read. To describe Burroughs as naughty, would seem wrong, but at the same time as law being present throughout, there are instances where Burroughs’ behaviour acts in the same evasive, difficult to describe way that attempting to categorise naughtiness acts too. Despite Burroughs’ seeming detachment from his world, you know that here is a man that tranquilises himself due to the heaviness or overwhelmingness of his surroundings, and his vulnerability and sensitivity almost aches from the character Bill Lee, in Queer specifically. This middle-aged gay misnomer, who falls in love with Allerton, a younger, experimental character whom considers Lee as someone he wouldn’t wish certain friends to know about. It is this aching that reaches out as an instance of the presence of a norm, and its expectations, and the way in which Lee does not fit these societal rules and anticipations. Burroughs was gay, and a writer who, amongst other things, was riddled with the physical effects of heroin and opiate addiction throughout the majority of his life. Despite that, he lived to the ripened age of 83, and died whilst still undergoing a course of methodone. He seems to quite adeptly shoot just about anything into his veins, and classify it in his lucid drawl with the clinical accuracy of a laboratory assistant. His raw, blank documentations of his experiences, are horrific enough to persuade anyone it would be a bad idea to do heroin, or ‘junk’ as he refers to it, describing the addicts as identifiable by their smell of decomposition, their thick air of suppuration. His personal life was thus surrounded by the law, in his terms, ‘agents’ and ‘pigeons’ (those selling heroin who were tipping off the police). Burroughs’ life coincided with the world of narcotic prohibition, his family already affected by the statutory provision of the ‘Harrison Narcotics Act’ of 1914, with the suicide of his morphine dependent uncle, Horace Burroughs, after finding the criminalisation of his condition too much. The act was drafted as a tax measure to regulate the market, but it soon was interpreted as a law prohibiting the supply, and thus the illegally gained, possession of opiates, coca, and help-based smokeables. Burroughs documents the state of Louisiana passing a law that criminalised addiction, and with the decision of the Narcotics Bureau to incarcerate addicts, Burroughs claimed the, “… real significance of these scandalous laws is political.” He though law-makers were gangsters, where, “… ethics become fugitives, sanity is branded madness, and the artist’s only option is total resistance.” Even the paperback industry was under scrutiny of the law for publishing works like those of Burroughs’. These laws percolated through into his writing, and there are some key concepts in relation to his reaction to law that relates to naughtiness: those being control, his ‘cut-up’ technique, and his descriptions of the ‘Interzone’. Relating this to naughty, Moore’s discussion on control and law’s predictability, indicate that which naughtiness seeks to subvert. By cutting up, one is taking the law by surprise, and creates moments of unforeseeability. The repetition of an act is not naughty, but the more one repeats, the more one becomes a law to one’s self, the more one operates in a predictive cast, and naughtiness transforms to another phenomena. As is evident in this quote: “Once you begin being naughty, it is easier to go and on and on, and sooner or later something dreadful happens.” Naughtiness does not allow for unsavoury acts to happen, because true naughtiness stops short of that unwanted incident. Once something dreadful happens, then naughty disappears and another form of obedience to the act takes place. Naughty is not even obedient to itself, naughtiness is a law unto itself, it exists as a relation, a way of being that allows subjects of law consciously detract the effects of law’s decisions and consequences. Naughty is a tactic as much as law is. Burroughs goes beyond naughty, in his life, but not in his writing. He repeats his deviance time and again, gets caught, and kills his wife. The Interzone is the point at which Burroughs’ describes breaking from heroin, which simultaneously is at the point at which the drug deems itself most powerful. It is a precisely that, an interzone, the world between human will and its negation: “… The point at which, in the absence of the drug, speech at all becomes possible, but correlatively, the point at which the drive toward resumed addiction is at its strongest.” It is a movement in between two ways of being. This is where Burroughs resides when withdrawing from heroin, he is not within the world of norms, he is ‘The Invisible Man’: “’Possession’ they call it,”, writes Burroughs. “As if I was usually there but subject to goof now and again … Wrong! I am never here …”. He is nought, he is Not-I, he is Not-the-Messiah. 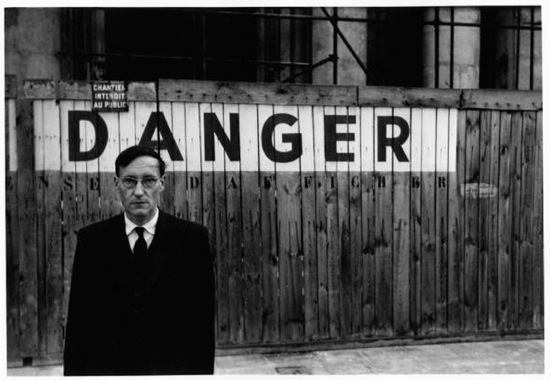 Burroughs’ experiences bring us back to law and the role of conscience within disobedience and naughtiness: “The experience of a sense of guilt for wrong-doing is necessary for the development of self-control. The guilt feelings will later serve as a warning signal which […] can [be] produce[d] […] [when] an impulse to repeat the naughty act comes over.” Law’s response to naughtiness is a state of confused permissiveness. To be naughty is not to be caught, to pacify and manipulate law, for naughty’s end. Burroughs’ honesty is his trademark, and this is what gets him either in trouble, with regards to his publishers, or out of trouble, with regards to his savvy knowledge of the system and his blank vacuum of tactical and legal manipulation. On some levels, naughtiness operates on a plateau of dishonesty, but there is a conscious and wilful objection that allows for one’s conscience to cease from shifting from naughty to the next stage. Is Naughty forgivable? Does it even require the bracket of absolution? Of course Derrida would say that the only thing that calls for pardoning is the unpardonable: “…forgiveness forgives only the unforgivable. One cannot, or should not, forgive; there is only forgiveness, if there is any, where there is the unforgivable. That is to say that forgiveness must announce itself as impossibility itself. It can only be possible in doing the impossible.” In a previous paper, I argued that to be naughty implies the retreat of the law. But naughtiness is defined not by the absence of law, but by its very presence, and the gap that lies in between preaching and practicing, what ought and what is. It is law that forgives naughtiness, like in the case of Burroughs and his expensive lawyer. Naughtiness is guilty, and the most unforgiveable act because it is forgiven by law. Naughtiness, is thus forgivable, because of the individual asking to be forgiven and their relation to the law. Your sins always find you out – or, if you are naughty, you remain undetected with only law itself keeping your secret. To be naughty depends on who you are, and who you are in relation to law. Burroughs and the death of his wife – to be naughty is to be forgivable – in the instance of his wife, thus because he had a weighty reputation, and his family, a weighty wallet. To ask if disrespecting is the same thing as disobedience, is to highlight the evasive role of the nought. It may seem a genial manner of resistance, but naughty has its darkness. Naughtiness, disrespecting and disobedience are dis-ontologies, that rely on the existence of rules against which to not exist, in turn. Burroughs disses left right and centre, but as soon as he is faced with law as tactic, removing himself from the consequences of accidentally shooting his wife, he becomes naughty. He respects the existence of law and his legal conundrum, and uses the besuited barrister to romance his way out. Naughtiness’ evasiveness is as evasive as this piece on disobedience itself, it has a refusal of definition and cogent form, but it is always defined by that which it is not. The gap between what happens and should happen, it infects neither, but acts as a signifier of law’s existence. Naughty is a law of the Not-I (Naught-I): it is an amor fati, the an-archic affirmation of life. To be nought, nothing, to exist in relation to something else, in a stasis between ways of being, within the Interzone, is to exist as a dis-ontology and a profaning freedom within bounds, the residue of something most powerful when it is Noch Nicht.